sweet 吻乐队（Kiss）. much 爱情 4 these 2. 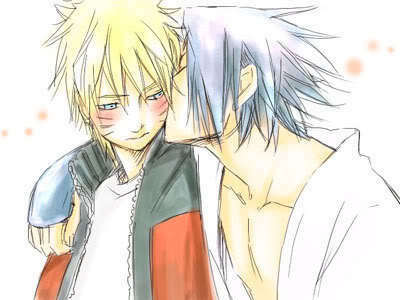 Wallpaper and background images in the SasuNaru Stories club tagged: sasu naru kiss. This SasuNaru Stories photo contains 动漫, 漫画书, 漫画, 卡通, and 漫画卡通. now everybody go " aaaawwwwwww!!!!!!!" It's totally a sweet kiss!